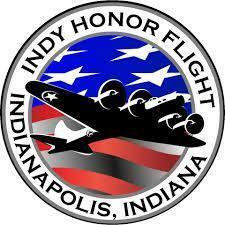 Tipton Elementary’s K-Kids are sponsoring a week of activities dedicated to raising money for Indy Honor Flight. Honor Flight sends Veterans to Washington D.C. to visit the monuments. Students are urged to donate money to participate in the dress up days. Our mission: To transport America’s Veterans to Washington, D.C. to visit those memorials dedicated to honor their sacrifices. Indy Honor Flight transports WWII, Korea and Vietnam veterans to see their memorials in Washington, D.C. For free! Indy Honor Flight is a non-profit organization created solely to honor Indiana’s veterans for their service and sacrifice. Top priority is given to the oldest veterans. Our goal is to get the most senior veterans to visit the memorials built for them before it is too late. We also give priority to terminally ill veterans.